Professional Learning: It’s a Family Thing! The role of an educator becomes increasingly difficult each school year. The pressure to have all students score proficient on high stakes tests, the mandates and laws that sometimes overpower the profession, and the dynamics of our students make being an educator more challenging than ever before. The one constant is the obvious: KIDS. They are always there, waiting for us to acknowledge them, teach them, and love them. Even the most defiant, rebellious child longs to be loved and appreciated by us. While the curriculum, mandates, and expectations of the profession are a must, those are not the things that mean the most to our children. Deep down I have always known this, but was recently reminded by many students and staff. I received a journal from the school where I serve as an assistant principal. Inside the pages were filled with notes from students, teachers, and staff. I have read through it multiple times, and each time I was brought to tears. 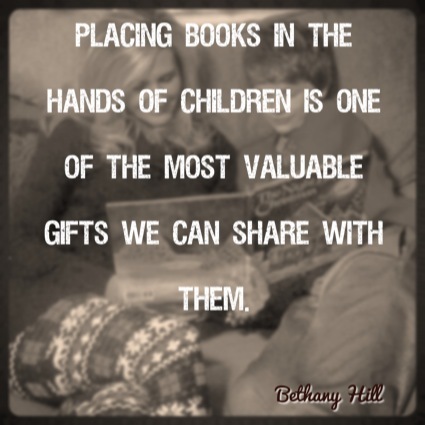 This gift is a reminder that we must remember what is truly important to our kids. Simply stated, the little things mean the most. I want to share a few written and verbal quotes from students who have taught me that the little things make a big difference as an administrator. Enjoy! A smile goes a long way! Kids have reminded me of this many times. I sometimes think of the fact that we may be the only people who make eye contact and smile at a particular child. It is a simple gesture, but one that must be intentional and consistent. When I first became an administrator, I had no idea how important it would become for me to be visible first thing in the morning. Waves, high fives, some hugs, and smiles can turn a child’s day around. We have no idea what kids have experienced when they step off the bus or out of their car. Some of them are coming from situations that our minds cannot fathom. A little dose of encouragement can change a person’s mindset! The morning greeting time is my favorite part of the day, and starts my own day on a positive note. 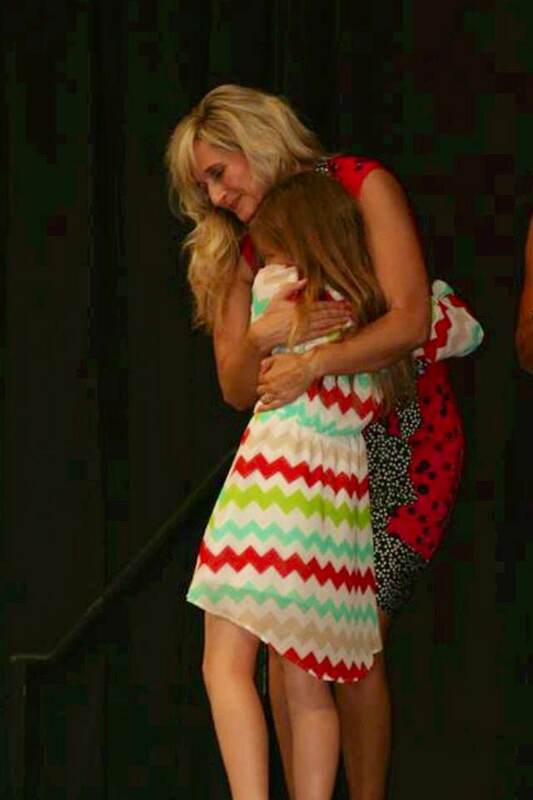 Smiles, greetings, and hugs…the little things that make a big difference in the lives of children. 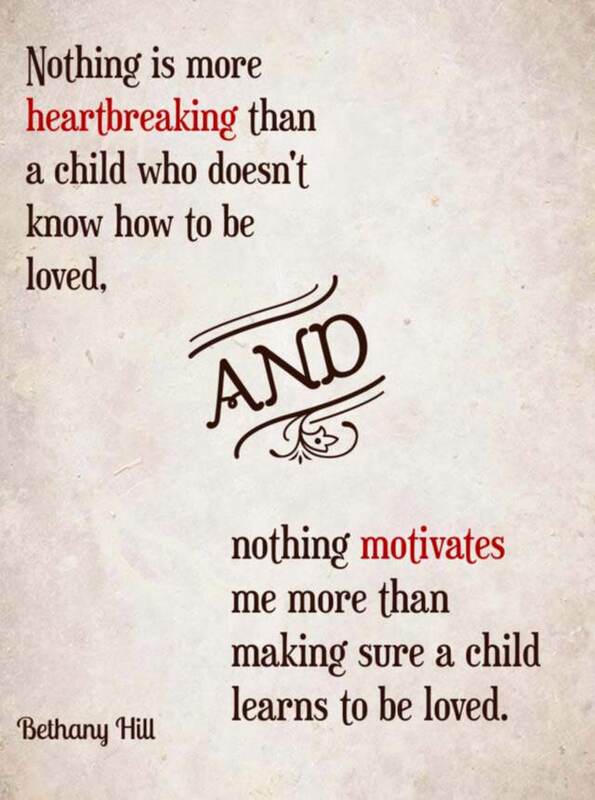 I firmly believe that no child can be given too much attention, validation, or credit for who they are inside. They deserve our focus, even if only for a few seconds throughout the days of school. These seconds add up to minutes and hours of investment in individuals. The consistency of connection with kids provides a secure feeling within that they are important, valued, and you are glad they are present. Smiles, greetings, and hugs do not cost a thing, except your time. I can think of no better way to invest parts of my day than to connect with kids, not by happenstance, but intentionally. Target particular students. 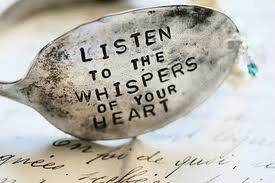 Single them out to speak with them. Be intentional with your connections. Kids are often more focused on what is truly important than adults are…we need to listen to them and allow them to teach us. I learn something new from a child every day, and the quotes I have shared with you are a glimpse of my learning. I could write a book on lessons learned from children. As mentioned in a previous blog entry, I think often about my “dream school”, where ideas based on no box thinking are implemented in order to strengthen school culture. The following is a continuation of my dreams…professional learning/development that goes beyond the traditional “old school” workshop or training session. Thank you in advance for indulging me, and allowing me to share my vision of professional learning with you. I was first introduced to the term “professional learning community” (PLC) when I read Rick Defour’s Whatever it Takes (a must read for educators). Reading this book helped me realize how important it is for a faculty to learn and grow together. 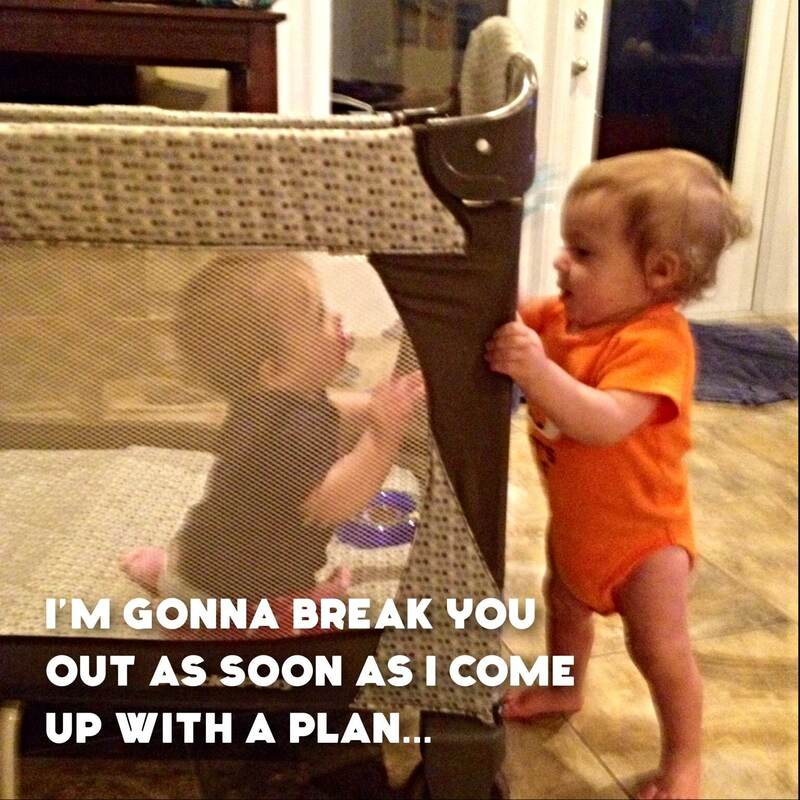 Kids watch our every move…whether it is a good one or a bad one! Modeling habits of a professional learning community allows kids and families to witness how we value learning. Great schools have a high level of professionalism where learning is a priority, but they are also viewed as what I like to call a “family learning group” (FLG). Families love and respect one another. They know each other’s personalities and moods. FLGs are professional learning communities that go beyond business to the heart of each individual, recognizing needs and areas of support. Families know how to challenge, support, and validate. They also know when to back off and let someone fly! FLGs can be honest and forthcoming with feedback and suggestions while growing relationships built on respect, empathy, and love. In my experience, it is more powerful to have a truly authentic and productive PLC that has the foundation of a FLG. Professional Learning Community + Family Learning Group = Culture of Learning and Loving! Traditional PD for teachers at the building level normally causes teachers to leave their buildings to be in attendance. Many opportunities are sessions held during the summer months and may consist of half day, whole day, or multiple day sessions. I often wonder how effective this setup truly is, and if we are missing the REAL professional learning boat! Students in classrooms all learn at various levels, and it would be unethical for teachers to expect all children to move along at the same pace and need the same things. We must honor personalized learning with adults, allowing their needs to be met through authentic learning experiences. A culture that values learning places this as top priority, honoring ALL members of the PLC/FLG by providing opportunities for learning and growth. Is this an easy task? Absolutely not! Many factors can present challenges, such as time, scheduling, resources, expertise of facilitators, willingness to be vulnerable, etc. The list of possible excuses could go for miles, so we might as well use it to help us better prepare professional learning to meet the needs of all adults. I know, I know…we do not need another acronym in the education world! I couldn’t help but share the FLG idea because it is close to my heart. If we think outside the box, we can find ways to create meaningful learning experiences for teachers. Consider Twitter and its impact on the education world. I access Twitter multiple times a day and gain a wealth of knowledge each time. The resources are unlimited! Twitter is a sharing site for people to swap ideas and knowledge…wouldn’t it be incredible to have this same exchange within our schools? My goal as a lead learner is to be an instructional leader who is viewed as a coach, mentor, supporter, accountability partner, and resource to others around me. I can embed professional learning that is personalized and targeted toward individual needs, as well as teams and the building. After all, we are a family of professionals, and I owe it to them. We all owe it to each other to be a provider of professional learning! Our culture needs professional development embedded throughout it, not confined only to sessions outside our building. We need both types in order for our students to truly benefit. Let’s go beyond the required hours of credit and reflect on what needs are within each individual and within the school as a PLC/FLG. Start dreaming! How can you embed professional learning into the daily school culture? The possibilities are ENDLESS! We will be discussing this next Sunday, May 4 during No Box Thinking Chat. Visit us on Twitter and contribute your thoughts! 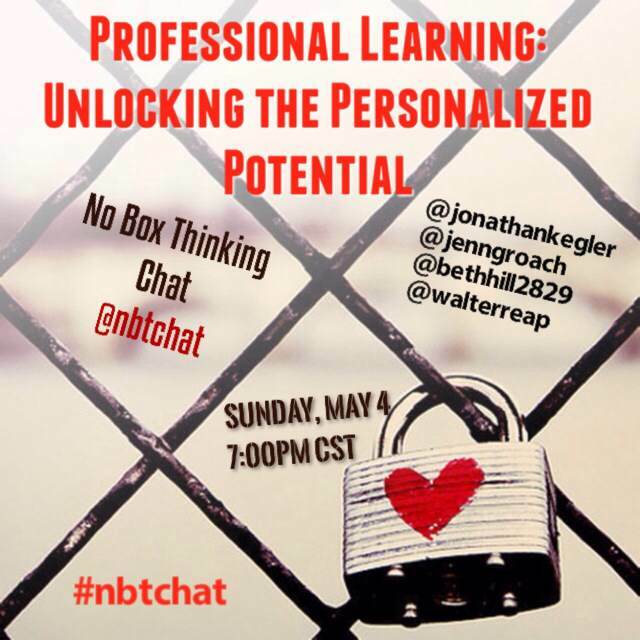 Search for @nbtchat and #nbtchat to view previous discussions. This is a professional learning opportunity you do not want to miss! Join us each Sunday and leave your box behind! Side note: I am blogging outside of the box! The following are my reflections on a few old school ways. I have no solutions, no scientific research, and no set plans. I only have my reflections and possibilities of my dream school, which evolves daily. You will read lots of “woulds, coulds, and ifs” because I am dreaming as a write. Some of you may have my dream school ideas in place, and if so…please share with me! That dreaded phrase, “We have always done it this way” can be very dangerous for educators. When facing a challenge, reacting the way you have always reacted will very likely give you the same results again and again. So why do we continue to keep some traditions in education? Routine? Habit? Lack of funds? Staffing? We could name hundreds of reasons why…but are these REAL reasons, or are they excuses that build roadblocks to our ability to think outside the box? Are they keeping us from dreaming? Are they keeping us from our vision of what is best for kids? As an educator and lead learner, one of my most important roles is to think beyond what is in front of me. This requires getting out of my comfort zone and into a new area where dreams are birthed. I have a “dream school”, and every day I think of more ways to make that school better. It is impossible to dream inside the box! Kids are counting on US to think BIG, to dream BIG, and to make decisions that will increase their chances of success. This is a responsibility beyond measure, and one that I take very seriously. Parents are sending us their very best, and trusting us to give them every opportunity to learn and be successful. We owe it to kids and their families to jump out of our box and stay out! Are you ready? The one room school house had some great things going! The teacher of the school was a differentiation specialist, teaching students of various ages. She taught with limited resources, and had to consider developmentally appropriate lessons and assignments for all ages represented. Students sat at desks and faced the front of the room where the teacher stood to deliver her lessons. Let’s consider the irony in this picture…differentiation for every student is often challenged by some teachers because of the amount of planning time required, yet in our world today we have an incredible amount of resources to support instruction that is tailored to student needs. We have classrooms for different grade levels, and the majority of them have “school furniture” such as the traditional desks, chairs, and tables. If we surveyed students, we would likely find that most do not feel comfortable working in a chair pushed up to a table or desk. In my dream school I would have classrooms with varied learning spaces so kids could have a choice of where to learn and work. If beanbags, couches, carpet areas, and different sized chairs and tables were available, it would provide a more comfortable environment for learning and working! It sure is fun to dream! Each year I see an increase in student behavior tied to hyperactivity and sensory processing. We must hold all students accountable for their behavior and keep expectations high while being sensitive to students who exhibit behaviors beyond their immediate control. Students with sensory processing disorders, sensory integration, and hyperactivity are often labeled as “discipline problems” when in fact they are unable to control many of their behaviors. Providing quick sensory breaks in the classroom can support teachers with classroom management, and most consider this a best practice to use throughout the school day. The fact is that some kids just need more! A sensory break room would provide students with sensory processing issues a balance. Sensory seeking kids would have access to mini-trampolines, mats for push ups and somersaults, and a wall with various textures. Students who tend to get into sensory overload would have access to weighted blankets and vests, calming music, dimmed lights, rocking chairs, and stress balls. Options for sensory diets would be available for kids who need a list of activities. Have I mentioned how fun it is to dream? GOALwork is a part of my dream school because the focus is not on teaching responsibility or getting grades for the grade book. It does not cause added stress for families or keep children from being KIDS! They need time to play and be involved in extra curricular activities. No student should have hours of homework…EVER. Boy, is it fun to dream! No box thinking is required in order for us to make the best decisions for kids. Doing what we have always done is simply not acceptable. Yes, there are some “old school” ways that will always be considered best practice, but we need to consider thinking more flexibly with others. My dream school is made up of hundreds of small dreams, three of which I have shared with you here. This is merely a glimpse into the school I envision, where all students are on a level playing field in spite of their ability level, home life, or impairment. I plan to make my dreams a reality! What are your dreams? Let’s all jump out of our comfortable boxes and start thinking BIG! I use my Personal Learning Network to foster my dreams…join me and let’s dream together! Get out of your box, get connected and start dreaming! Think of how much power you have as an educator. Each day approximately 440 students and many of their families see me. This is an incredible opportunity for me to model my faith without having to mention Christianity! I can model patience, empathy, love, friendship, discipline, and so much more each and every day. I have the opportunity to show people my faith by the way I interact with others. I can keep the Bible on my desk or a scripture to remind me of my strength and what drives my soul. I can pray for specific students and their families. I can pray for teachers and staff. I can do this during the day, even if I retreat to my office to do it. God is present in my school. I can talk to my staff about my faith, and share inspiration with them. Some of them even have a prayer group that meets each week. God IS in my school. So…we can complain about how public education isn’t the way it used to be, or we can embrace new doors that have opened for us to be examples for our students and their families. They need us more than ever. They need God more than ever. We all do. My goal is for students and families to know I am a Christian and have blind faith without ever expressing it through scripture or the words, “I believe in God”. I want them to know by what they see. I want them to see a kind, caring educator who loves relationships and thrives on knowing people…not just the good, but the bad and the ugly about people. Last summer before school started, I chose an evening to stay until the building was empty. No students, because they were still enjoying summer. No teachers, for they had been working through the day to prepare their classrooms, no custodians…just bare hallways and classrooms. I went on a gratitude walk through the entire building, and counted my blessings. I entered each classroom and looked at names on desks, and the classroom environments teachers had worked so hard to create. I prayed for each teacher, and each class, then left the teacher an uplifting message on a sticky note. It took a couple of hours, but it was well worth my time. God was there. He was in my heart, and his presence was all over the building. God doesn’t have to be exempt from schools. We can model our faith and core beliefs through our actions and how we treat others. He can be present. He is present. I use my relationship with Him each day to become a stronger leader and a person who can make a positive impact on the people around me. It is a work in progress, and I will never arrive! I can, however, make a difference through my faith and attitude of gratitude. God lives in my school. He never leaves. What a blessing. I remember being in second grade at Westside Elementary, a school in the district where I currently work. My teacher’s name was Mrs. Euler, and everything she said was, in my opinion, golden. She taught me to write in cursive, which was a BIG deal in my little world! Mrs. Euler did much more than teach me content. I owe her so much, because she is partly responsible for where I am today. That year in Mrs. Euler’s classroom, a flame was lit. I wanted to be just like her. I wanted to be a teacher. I was fortunate to know by the time I was seven years old exactly what I wanted to do with my life. No one in my family had ever been to college, but I didn’t care. I wanted to be a teacher like Mrs. Euler, and I had to make it happen. I had a little fire in me early on which was fueled by incredible teachers and my parents. At the age of seven, I was in pursuit of a dream. My student teaching assignment and first teaching position were in the very building where my dream began, and Mrs. Euler was still teaching there. She supported me through my internship, interview process, and during my first three years as an educator. I was a new teacher who had a fire within me, and she, along with many others helped to ignite that fire as I grew in my profession. Many years later I became an administrator in the building where I currently serve as assistant principal. When I was assigned to Eastside Elementary, the first thing I did was view the faculty list. To my surprise Mrs. Euler’s name was listed as a Kindergarten teacher. I had come full circle with this woman. She was my second grade teacher, a mentor, and a fellow teacher. I now serve as one of her administrators. Full circle…she still teaches me, and helps me stay true to who I am. I consider myself blessed to have the opportunity to work alongside a person who helped me realize my dream of educating kids. She has a fire within and after many years, it continues to burn wild for her students. After sixteen years as an educator, my fire has only just begun. I am certain some find it annoying, but as I tell my own children, “Those people can unfollow me!” I am proud to say that I am ON FIRE! 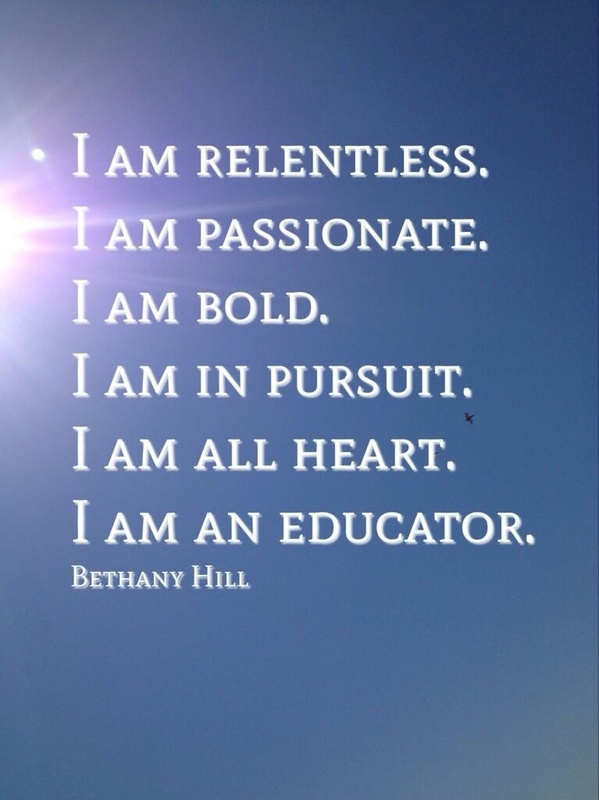 I am on fire for my profession, for kids, for teachers, for relationships, and so much more. Everyone should be in this state of mind. The fire within keeps me inspired and striving to inspire others. We should all be on fire for something. Educators must be on fire for their profession, because kids and their families cannot afford for us not to be! Let me fill you in on the secret to being an educator on FIRE by keying in on five traits. There are many qualities of leaders/educators on fire, but these five are the traits which drive me each day. Educators who are on fire never stop. 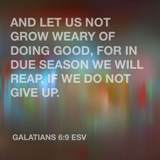 Even days when they are not “feeling it”, they press on and remain steady. They are persistent and unyielding in nature. Kids need us to be relentless daily. Relentless educators are never sorry for their persistent nature, and for doing what is right for kids. BE RELENTLESS. 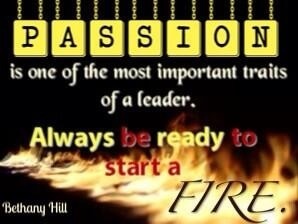 Educators who are on fire are overflowing with passion for the profession itself, and more importantly, for kids. They show passion for everything they teach, even if the content is something they do not like. They use their personal passion to fuel their profession, and allow everyone around them to see it. Passionate educators never hide their strong emotions for why they do what they do! It shows daily. BE PASSIONATE. Educators who are on fire are bold in nature. They take risks, and are not afraid of failure. Bold educators see failure as an opportunity to become better, and model this for their students and colleagues. Boldness requires putting yourself out on a limb and being exposed, but educators on fire know it is necessary in order to achieve excellence and become better at what they do. BE BOLD. 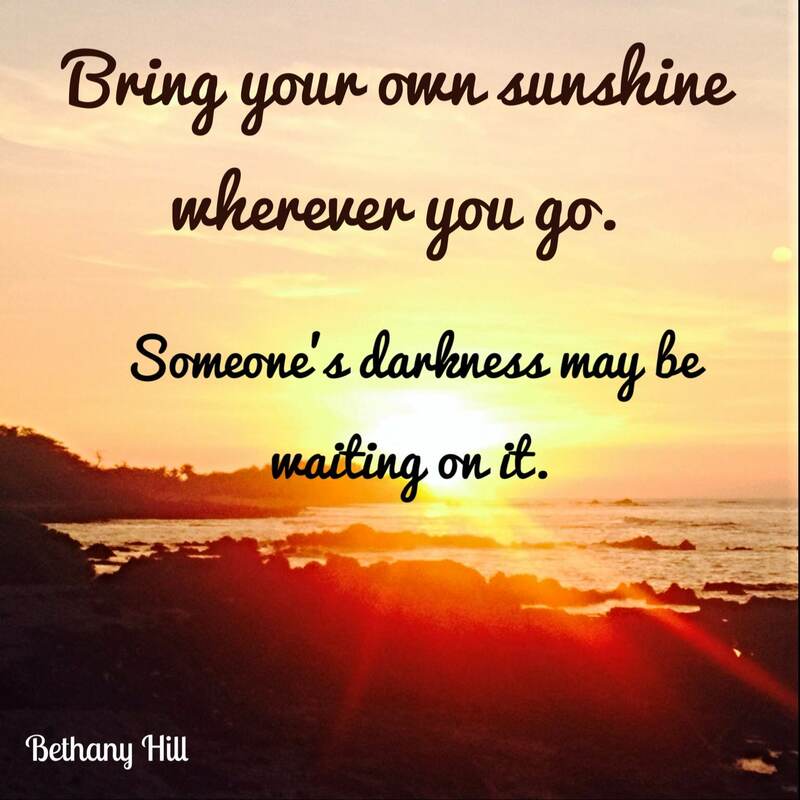 Educators who are on fire are continually pursuing. They dream big, and chase dreams until they become reality. They pursue excellence for each student and for themselves, and do not stop until it happens! In other words, they are RELENTLESS (see the pattern?) in nature. The moment they achieve something, they move on to the next goal and begin pursuing it! 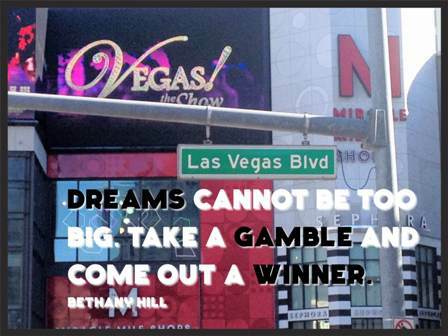 STAY IN PURSUIT OF DREAMS! Educators who are on fire wear their hearts on their sleeves for kids. They are not afraid to let it show, because being vulnerable is part of building relationships with students and families. Sometimes their hearts become broken because they are so exposed, but the risk is worth the reward. 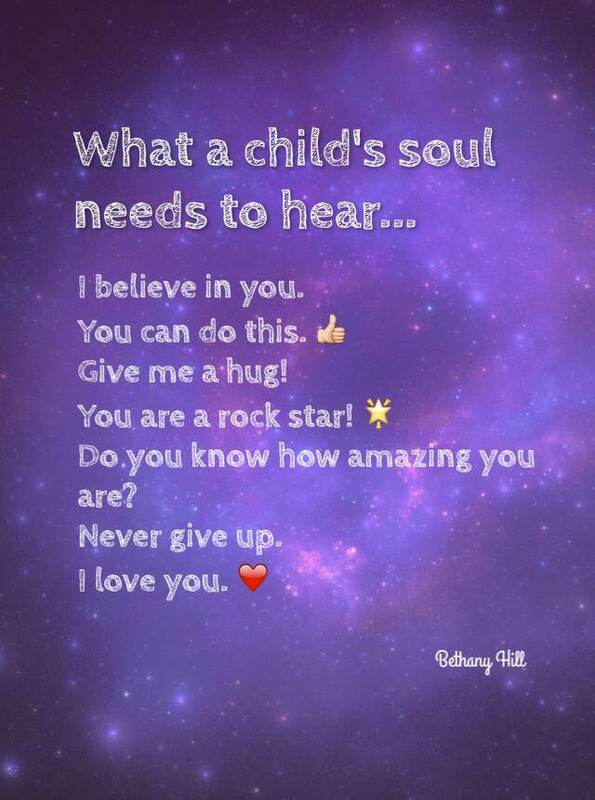 All heart educators are all in for kids, and no one doubts that about them. They are known for it. It will become their legacy. WEAR YOUR HEART ON YOUR SLEEVE FOR KIDS. Mrs. Euler was relentless, passionate, bold, in pursuit, and all heart. I am so very thankful I had a teacher with those traits. One of my greatest blessings is to see her in action with kids and families today, still possessing the traits of an educator on fire. She won’t stop. She, along with many other amazing educators in my life, keep me motivated to NEVER STOP. I am relentless. I am passionate. I am bold. I am in constant pursuit. I am all heart. I am an EDUCATOR. I will make a difference, and use my fire to ignite these traits in others. This will be my legacy. Thank you, Mrs. Euler. I think back to the first few years of my fifteen year career, and I remember point blank stating, “There is no way I will ever become an administrator. I will be happy just being a teacher.” First of all, I learned early on that there is no such idea as “just a teacher”! We all know that the teacher is the number one determining factor in the success (or failure) of students. The classroom is where the rubber hits the road, so to speak. It’s where the magic happens. As I stepped into the office five years ago to interview for an assistant principal position in my district, those words played over and over in my head. I thought to myself, “What am I doing? I am happy being a third grade teacher!”, but it was too late to walk out…I was there and had been led there. It was time for me to transition, even though my heart was still in the classroom. I felt the need to make change and wanted the position, but had a fear of losing my teacher heart. 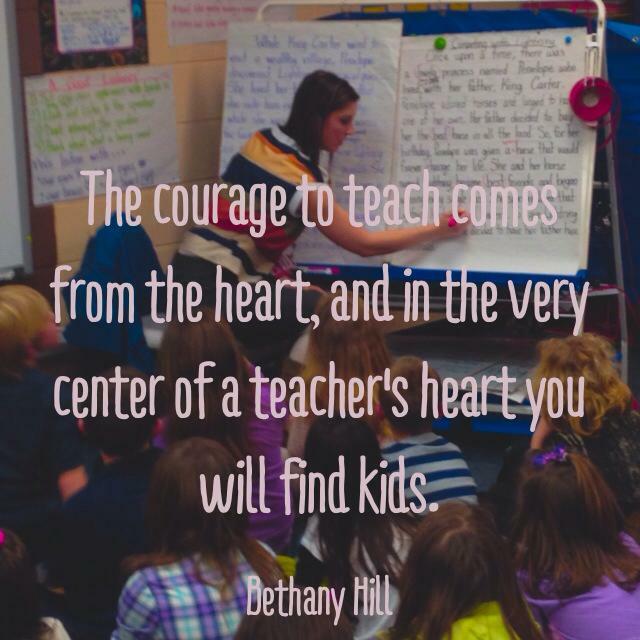 I have been an administrator for five years, and my heart has never left the classroom. I will do everything in my power to make sure it stays in the right place. I love my role as an assistant principal. 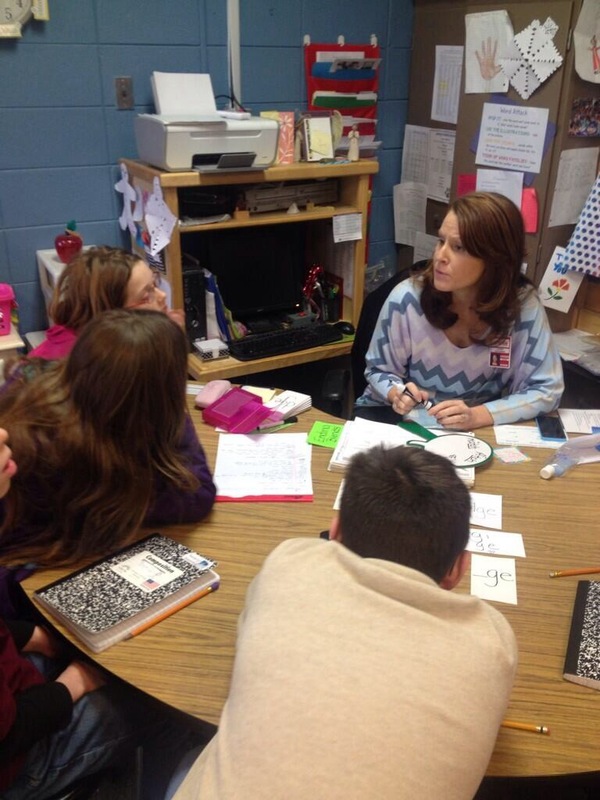 Each day brings new learning and challenges, just as I experienced in the classroom. Sometimes administration can be lonely. We do not have the luxury of spending the day with the same group of kids, and watching how much they grow each day. There were days when I first became an administrator that I missed having the close and personal connections with a classroom of kids and their families. I remember feeling very empty and incomplete because I wasn’t able to make the kind of difference that a teacher makes each and every day in a classroom. The first year is certainly the most challenging, and I know I had the deer-in-headlights-look on my face most of the time! I had to find my way; a balance of leadership where teaching and learning outweighs all of the other managerial responsibilities. This balance, my friends, is how you keep your heart in the right place–this is how you keep the heart of a teacher. I have learned a few things in my few years that I feel led to share with anyone facing a transition from teaching to administration. I have found them to be tried and true, and when I feel as if I am losing my balance, I go back these things. I like to refer to it as “Going Back to the Basics”, because they are all very simple things that make a huge difference. 1. Read to a class. 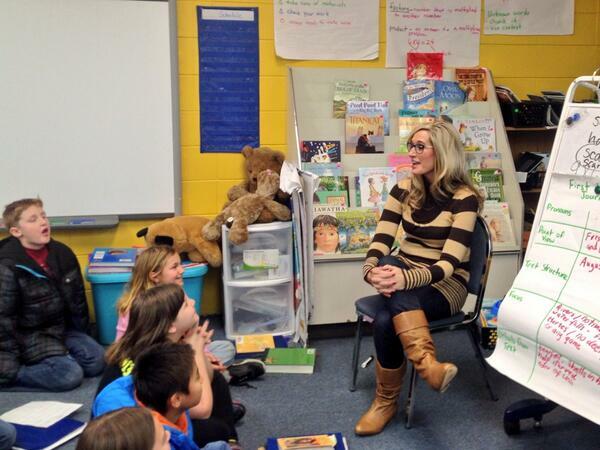 Reading aloud to kids, whether they are first graders or seniors, is extremely rewarding. It is personal, a way for you to connect with students. It makes you visible to students and teachers, and provides a way for you to share your teacher’s heart. Choose your favorite books or short stories to keep in your office. I have asked teachers in advance to write me in their lesson plans, or grabbed a book off of my shelf to cover a class when a substitute doesn’t show. Seize opportunities to make it happen. As educators, we all have our favorite subject. Keep your excitement for content by teaching a lesson from time to time. I have found that in my short five years in administration, there have been many changes in our expectations and curriculum. Teaching a lesson in a classroom holds me accountable for knowing our district’s curriculum, and helps me better support teachers with professional development and resources. Ask a teacher if you can visit, then teach. The kids will love it, and so will you. 3. Make a Parent’s Day. Every day kids do amazing things. As administrators we have the luxury of seeing the whole school at will. Kids are always improving, always growing, always blowing me away with the things they do. Why not share with parents? Make some positive phone calls each week to brag on a student, share a celebration, or welcome a new family. Make it a goal to do away with the negativity associated with getting a call from the principal. Establish a culture where visiting the principal’s office or getting “that phone call” can be for something good! Again…this helps you find balance in your position. You did this on a regular basis in the classroom, so why not continue as an administrator where it can be even more powerful? 4. Praise Teachers for What They Do. Teachers work so hard. They do so much more than prepare lessons and deliver the required content. So much of what teachers teach will not ever appear on a standardized test. Teachers help prepare children for LIFE. Ultimately they have more impact on children than their peers or their families. They model perseverance, empathy, flexibility, problem solving, and so much more, all of which go beyond the classroom walls. Teachers need to be praised for going beyond the minimal requirements of grade level expectations. Math and literacy are not the most important things we teach kids. Recognize and validate what teachers do to make their position personal. When you feel lonely, burned out, bogged down by the managerial tasks, and as if you are not making a difference…go back to the basics. Go back to where your heart is. Go back to where the kids are. You never really leave, you just veer off track. When you feel that happening, drop everything and go find some kids. Talk to them. Let them ask you questions. Laugh with them. Listen to their stories. Look them in the eye. 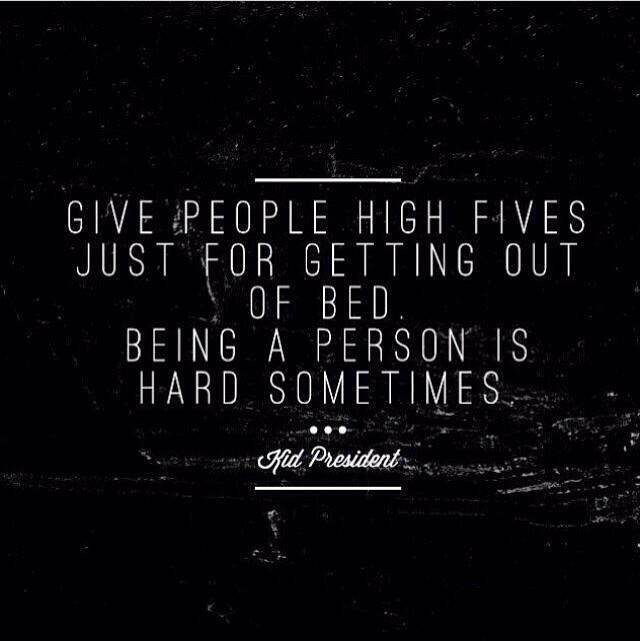 Give some hugs or fist pumps. These tips are not rocket science. They are not even researched based. They are merely things I do in my role as an educator that keep me close to where my heart is. I am now and will forever be…a teacher. I have had the privilege of being an educator for fifteen years, and somehow my love and passion for the profession continue to grow. Each year seems to be more challenging than the previous, yet somehow that makes me more determined to make a difference. I can only hope and pray that I never lose that fire within.